Join us for a family workshop offered in conjunction with the exhibition “Sarah Charlesworth: Doubleworld,” the first major survey in New York of the artist’s work to date. How many photographs do you see on your way to the New Museum—on billboards, in magazines, and on the screens of mobile devices? This family day will investigate how photography shapes how we see the world. Visitors will make their own work using different mediums that explore how we communicate and make meaning through color, scale, framing, and arrangement of photographic images. New Museum First Saturdays for Families are free of charge. This program is designed and recommended for families with children aged between four and twelve years and includes free New Museum admission for up to two adults per family. Children under eighteen are always admitted free. No preregistration is required. Space is limited, and tickets are given out on a first-come, first-served basis. Your entire party must be present; tickets will not be given to partial parties. This family day is brought to you with the participation of the New Museum Teen Apprentice Program. 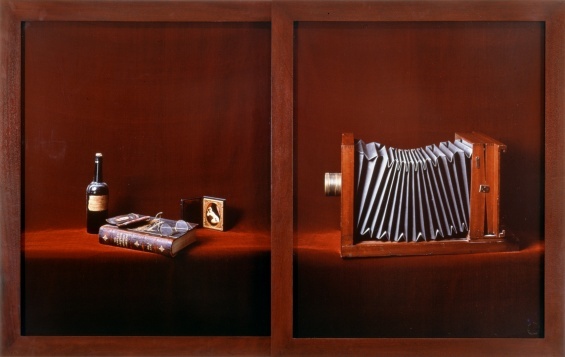 Support for “Sarah Charlesworth: Doubleworld” can be viewed here.